On July 24, 2014 attorneys for the Lakes and Parks Alliance sent a letter regarding SWLRT to the Federal Transit Administration (FTA). 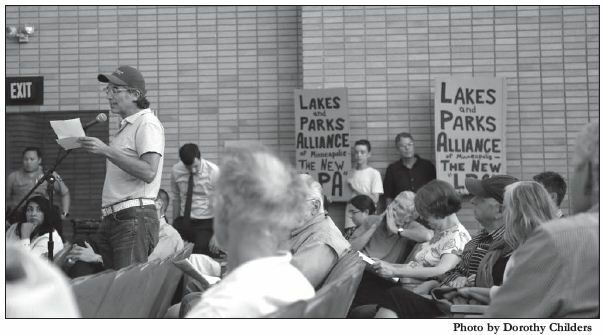 Here is both a link to the letter and the letter’s introduction by Stuart Chazin of the Lakes and Parks Alliance. “I am attaching a copy of a letter delivered last week to Marisol Simon (Federal Transit Administration) & Kenneth Westlake (NEPA Implementation Office of Enforcement and Compliance Assurance U.S. Environmental Protect Agency) . It was drafted by the lawyers for the Lakes and Parks Alliance of Minneapolis, Inc. that has been created to conduct litigation on behalf of all of those who care about protecting our lakes and parks. The following StarTribune editorial was published in the July 9, 2014 edition of the StarTribune. 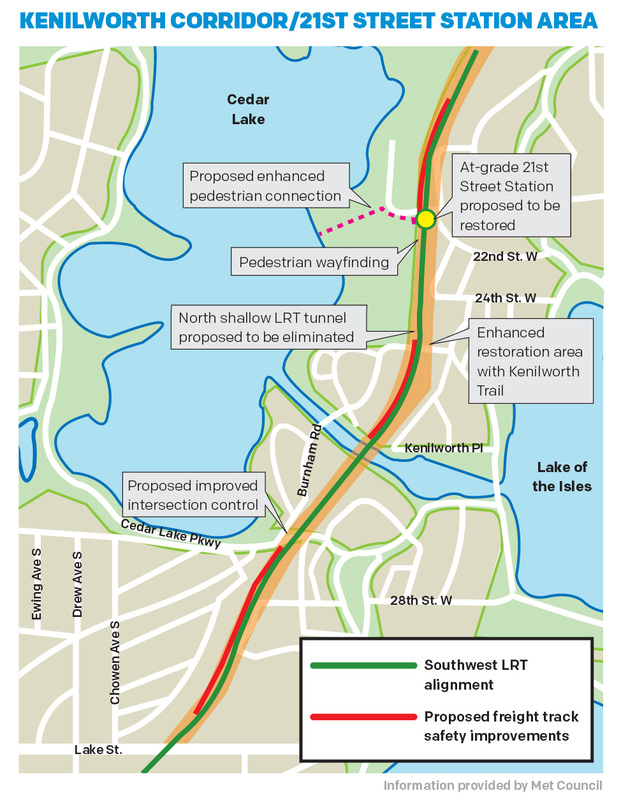 A Park Watch Comment: Park Watch is disappointed that the editorial supports co-location in the Kenilworth corridor for SWLRT. Again, the economic argument for moving ahead with SWLRT is pitted against the environmental argument. 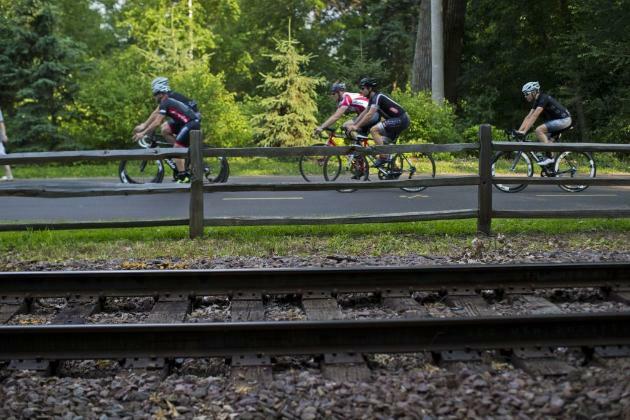 According to a recent letter to the city from attorneys for the citizens’ organization The Lakes and Parks Alliance (and posted on Park Watch), the city is violating state laws governing the construction of light rail transit by approving SWLRT plans before the Environmental Impact Assessment is completed. By design, the Metropolitan Council prioritizes regional interests. City politics, conversely, are naturally more local, if not parochial. So it’s commendable that Minneapolis Mayor Betsy Hodges and key City Council leaders thought regionally when they struck a deal with the Met Council to advance the proposed Southwest light-rail line (also called the Green Line Extension). City officials failed in their politically expedient but unrealistic efforts to reroute freight rail out of the Kenilworth corridor. But they stayed open to compromise, and the result ultimately will benefit the city and the Twin Cities region. This entry was posted in Southwest LRT on July 25, 2014 by citoyen1789. The Minneapolis Park and Recreation Board (MPRB) is continuing its planning process for Nokomis-Hiawatha Regional Park with a Community Advisory Committee (CAC) meeting on Tuesday, July 29, from 6:30 pm to 8:30 pm at the Nokomis Community Center. This is the fourth of five planned CAC meetings this year. The general public is welcome to attend and will have the opportunity to comment on the master plan. At the July 29 meeting, the CAC will look at and discuss initial ideas for the Regional Park as a whole and for focus areas including the Nokomis main beach, the Hiawatha recreation area, and Cedar Avenue crossings. MPRB consultants will also provide a primer on water quality in Lakes Nokomis and Hiawatha. This entry was posted in Miscellaneous on July 24, 2014 by citoyen1789. Thursday Night Forum–What’s Next for the Riverfront? THURSDAY NIGHT — MINNEAPOLIS UPPER HARBOR TERMINAL – WHAT’S NEXT FOR THE RIVERFRONT? This entry was posted in Above the Falls on July 22, 2014 by citoyen1789. Park Watch has learned that on June 23, 2014, The Lakes and Parks Alliance of Minneapolis sent a letter to Mayor Hodges and Minneapolis City Council President Barbara Johnson. According to state law, the environmental impact study must be completed before cities give their consent to SWLRT! This entry was posted in Southwest LRT on July 16, 2014 by citoyen1789.